School budgets are tight, and thanks to ever-changing technology, it is increasingly difficult for teachers to find new ways to keep young students interested and engaged. That’s why the new generation of teachers is on a mission for innovative and fun approaches to learning! Amanda Esshaki is one such teacher. 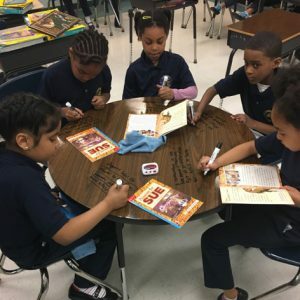 Working at a charter school in Englewood, Chicago, Amanda was looking for inventive ways to engage her students. 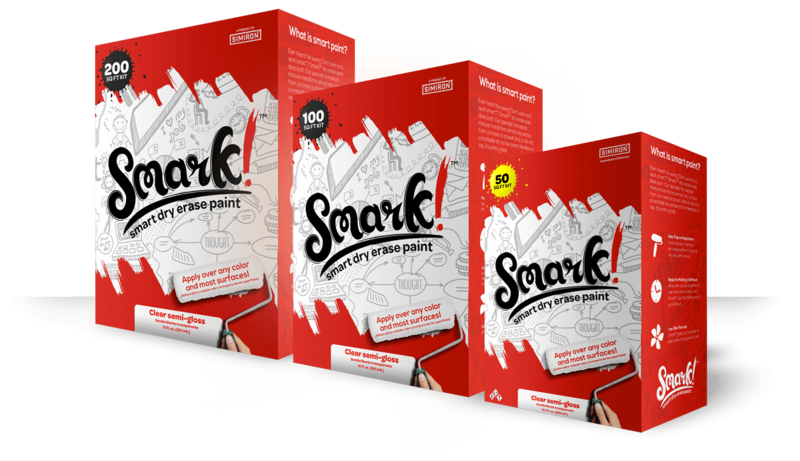 When she heard about Smark Dry Erase Paint, she decided to give it a try! It was simple enough to paint on the top of the walls and student desks, with virtually no change to the appearance of the original surfaces. 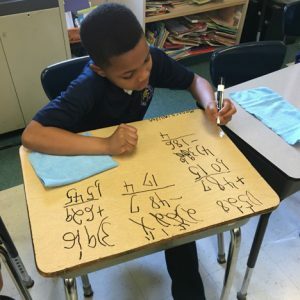 After completing the clear dry erase paint application over the weekend, she used the newly Smark’d desks Monday morning, and the results were astounding! Her students arrived and started their daily morning work with no hesitation or procrastination. They were even eager to move on to their first subject of the day. She implemented the use of the desks across all curricular subject areas. As a result, she saw an increase in student performance. 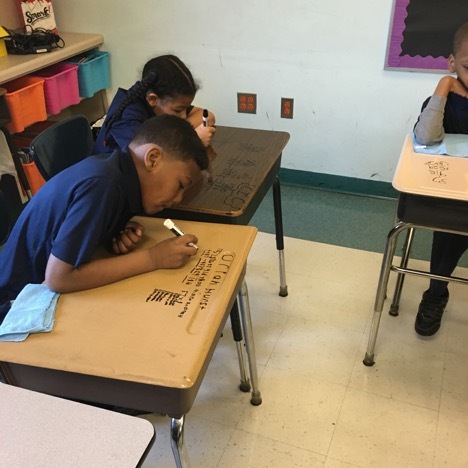 Because Smark Paint allows students to write on the classroom desks, the students look forward to solving math problems and creating short stories. With the entire desk utilized as a writing space, Amanda can easily walk through the classroom, oversee, and analyze student work without picking up a single piece of paper. 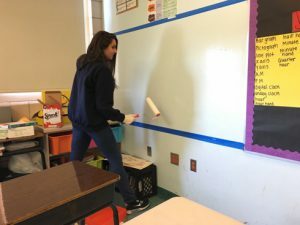 That is an additional bonus of using Smark Dry Erase Paint —the reduced amount of waste, which can equal a lot of sheets of paper per day in just one school. Amanda has also utilized Smark Dry Erase Paint on her guided reading table, as well as on a blank wall space in her classroom. 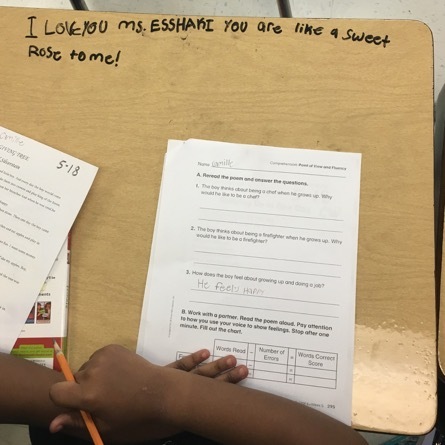 When working with small group instruction, students are able to share answers relating to the text without wasting paper. As a bonus, she uses her blank wall space for “free time drawing” as a positive behavior reward. Amanda’s students are happy and having fun, but most importantly, they are learning! One even left a note for her to let her know how much she means too them — the only Smark mark she’ll be sad to erase!